Inequality and inequities have significantly increased in recent decades, possibly driven by the worldwide economic processes of globalisation, economic liberalisation and integration. This has led to states 'lagging behind' on headline goals such as the Millennium Development Goals (MDGs) and different levels of inequity between states have been argued to have played a role in the impact of the global economic crisis of 2008–2009. Equity is based on the idea of moral equality. Equity looks at the distribution of capital, goods, and access to services throughout an economy and is often measured using tools such as the Gini index. Equity may be distinguished from economic efficiency in overall evaluation of social welfare. Although 'equity' has broader uses, it may be posed as a counterpart to economic inequality in yielding a "good" distribution of wealth. It has been studied in experimental economics as inequity aversion. Low levels of equity are associated with life chances based on inherited wealth, social exclusion and the resulting poor access to basic services and intergenerational poverty resulting in a negative effect on growth, financial instability, crime and increasing political instability. The state often plays a central role in the necessary redistribution required for equity between all citizens, but applying this in practice is highly complex and involves contentious choices. In public finance, vertical equity is the idea that people with a similar ability to pay taxes should pay the same or similar amounts. It is related to the concept of tax neutrality or the idea that the tax system should not discriminate between similar things or people, or unduly distort behavior. Vertical equity usually refers to the idea that people with a greater ability to pay taxes should pay more. If the rich pay more in proportion to their income, this is known as a proportional tax; if they pay an increasing proportion, this is termed a progressive tax, sometimes associated with redistribution of wealth. Horizontal equity means providing equal health care to those who are the same in a relevant respect (such as having the same 'need'). Vertical equity means treating differently those who are different in relevant respects (such as having different 'need'), (Culyer, 1995). Health studies of equity whether particular social groups receive systematically different levels of care than do other groups. There are many ways to identify preventable or unjust disparities, including the study of health outcomes using quintile analysis or concentration indexes. 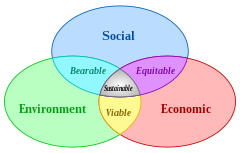 Equitability in fair division means every person’s subjective valuation of their own share of some goods is the same. The surplus procedure (SP) achieves a more complex variant called proportional equitability. For more than two people, a division cannot always both be equitable and envy-free. ^ Musgrave (1987), pp. 1057–58. ^ Musgrave (1959), p. 20. ^ Better Ways to Cut a Cake by Steven J. Brams, Michael A. Jones, and Christian Klamler in the Notices of the American Mathematical Society December 2006. Anthony B. Atkinson and Joseph E. Stiglitz (1980). Lectures in Public Economics, McGraw-Hill. Economics Handbook Series. Xavier Calsamiglia and Alan Kirman (1993). "A Unique Informationally Efficient and Decentralized Mechanism with Fair Outcomes," Econometrica, 61(5), p p. 1147-1172. A.J. Culyer (1995). "Need: The Idea Won't Do — But We Still Need It," Social Science and Medicine, 40(6), pp. 727–730. Jean-Yves Duclos (2008). "horizontal and vertical equity," The New Palgrave Dictionary of Economics, 2nd Edition. Abstract. Allan M. Feldman (1987). "equity," The New Palgrave: A Dictionary of Economics, v. 2, pp. 182–84. Peter J. Hammond (1987). "altruism," The New Palgrave: A Dictionary of Economics, v. 1, pp. 85–87. Serge-Christophe Kolm ( 2000). Justice and Equity. Description & chapter-preview links. MIT Press. Julian Le Grand (1991). Equity and Choice: An Essay in Economics and Applied Philosophy. Chapter preview links. Richard A. Musgrave (1959). The Theory of Public Finance: A Study in Political Economy. _____ (1987 ). "public finance," The New Palgrave: A Dictionary of Economics, v. 3, pp. 1055–60. Abstract. Joseph E. Stiglitz (2000). Economics of the Public Sector, 3rd ed. Norton. William Thomson (2008). "fair allocation," The New Palgrave Dictionary of Economics, 2nd Edition. Abstract. World Bank. World Development Report 2006: Equity and Development.Summary with ch. links. H. Peyton Young (1994). Equity: In Theory and Practice. Princeton University Press. Description, preview, and chapter 1. Colombino, U., Locatelli, M., Narazani, E., & O'Donoghue, C. (2010). Alternative basic income mechanisms: An evaluation exercise with a microeconometric model. Basic Income Studies, 5(1).